However, behind this far-reaching forward thinking is a reality in which AI can be used effectively to increase efficiency in the professional world. And the future of Digital Asset Management software is very much part of this narrative. At the moment, most DAM software is reliant on the effectiveness of its users to identify, tag and categorise imagery. However, the advent of AI and Machine Learning is set to revolutionise file sharing workflows. Machine Learning technology, when deployed within DAM solutions, enables image search to become much more intuitive, automatically identifying and potentially tagging/describing key features. Many tech giants are already making inroads in this area, and we're currently building these groundbreaking capabilities into our software, ResourceSpace, enabling detection of objects and faces within images. The detected image elements are tagged according to thousands of categories, which can then be manually enhanced or refined. This level of intuition and automation could profoundly affect the way Digital Asset Management software is used within professional organisations, for a number of reasons. For example, AI reduces the level of knowledge and training required in-house to effectively utilise DAM technology. Automated tagging does not require training, and the AI algorithm can be synched with a company's existing cloud database of known objects, places and so forth, to tailor the identification process for individual organisations. However, there are considerations to bear in mind in order to set up AI-enabled tagging effectively. Organisation-specific training will be required initially to recognise company products or staff members, creating tags based on previous manual categorisation. This initial human effort will create the learning processes that enable Machine Learning algorithms to run automatic tagging, saving a huge amount of time and effort in the long run. 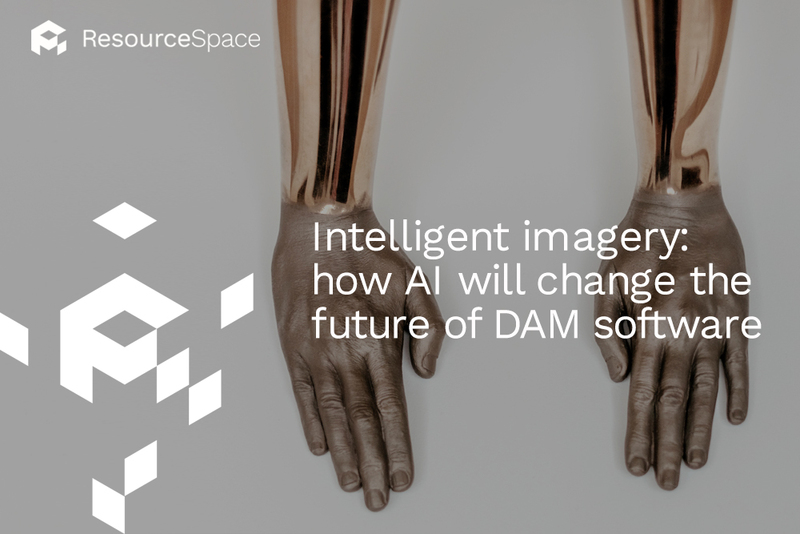 One of the biggest benefits of building AI and Machine Learning into DAM technology is its accessibility. Although traditional DAM software makes file sharing and searching easier for companies, it still involves a certain level of manual effort, which can act as a deterrent to many potential users. However, with AI, for a small amount of up-front effort - which organisations can incentivise to get their whole workforce on board - business users are presented with a digital platform that gets better the more it is used. In addition to making image categorisation much simpler and search results much better targeted, AI-driven DAM software will be able to offer users added value features, such as intelligent suggestions of complementary content, based on their original search. And as AI technology progresses, the actual process of searching could become even simpler, if voice commands can be integrated into the software platform. The data and learnings being leveraged from smart devices in the home will help to accelerate the adoption of voice search in the professional environment, so voice-activated AI DAM software isn't light years away. With such exciting developments on the horizon, it's an ideal time for companies to be embracing DAM software. The biggest challenge for these organisations is to make sure they partner with a technology vendor that is riding the crest of the AI wave, to help them harness its power, quickly.